Express Service is located in Ruse – major transportation hub on the Danube River. 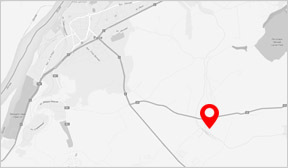 Our facilities are located just outside town on Ruse-Varna railway. Nearest international airports are Sofia, Bucharest and Varna. Travel by car from these airports takes respectively three, one, and two hours. Travelling from Sofia (E85) – in Ruse set direction to Varna (E70) and turn left 3km after town’s limit. Travelling from Varna (E70) – turn right 3km before entering Ruse; Travelling from Bucharest (crossing border at Danube Bridge) set direction to Varna (E70) and turn left 4km after town’s limit.